Suzanne Church lives near Toronto, Ontario with her two teenaged sons. 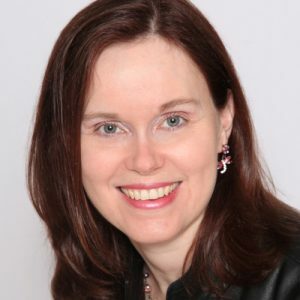 She is a 2011 and 2012 Aurora Award finalist for her short fiction. She writes Science Fiction, Fantasy, and Horror because she enjoys them all and hates to play favourites. When cornered she becomes fiercely Canadian. Her stories have appeared in Cicada, Clarkesworld, and On Spec, and in several anthologies including Chilling Tales: Evil Did I Dwell; Lewd I Did Live and Tesseracts 14. You have written both novels and numerous short fiction pieces in multiple genres. What inspires you to place particular characters in specific settings? In my fiction, the character and the setting go together like wine and cheese, or beer and pretzels. I think most people are directly affected by their upbringing (AKA the family of origin), their occupation, their neighbourhood (both the place itself and the people who live there), and even by their spiritual beliefs. I usually imagine a character first, and soon after, the setting develops around them, like a garden where weeds and flowers grow side by side. Many authors are discovering the joy of Cons… but you are a long time DragonCon devotee. Can you tell us what is unique and cool about author appearances at cons as compared to say the local bookshop? Cons serve one purpose and bookshop appearances quite a different one. At a con, a speculative fiction author is generally “among their peeps” where they can chat with people who have similar interests, and speak on panels with pinpointed topics that relate directly to their life and/or fiction. Not to mention the fact that attending cons can be so much fun! I’ve been known to dress up in a Steampunk outfit because I love the aesthetic. I used to love attending DragonCon for that reason, as it is such a costume-centric con. After I tore the meniscus in my knee, though, I’ve had to swap DragonCon (which has a great deal of walking) for other cons, and there are so many great ones to choose from! What themes appear in you work most often, and what is it that draws you to them? I like to write stories that delve into the complexities of family life, particularly families that are more dysfunctional than whole. All of us build our lives and our souls around the relationships and situations that we experience in our early years with our family of origin. In adulthood, many of us spend a long time trying to re-write habits or improve ourselves to overcome the challenges we faced in our youth. I love exploring the “big moments” that can change a life, both the good ones and the horrific ones. Another theme I’ve explored in my fiction is love: the many forms it takes, the fine line between love and hate, and the sexual tension when it is unrequited. And since I love to write comedy, sometimes I tackle silly subjects like talking chickens. In the three excerpts you have provided TwinStar Studios with, your characters are in fantastical situations, but they face real-world societal and personal challenges. What do you say to people who claim that SciFi and Fantasy are supposed to be about escape? All fiction is about escape, because we’re leaving our own lives and living someone else’s life, even if it’s only for a few pages. Most speculative fiction (science fiction, fantasy, and horror) asks the simple question, “What if?” I suppose that’s true about every story, really. What if magic existed? What if I could hop dimensions? What if another pandemic spread across the planet? I think that when we face these questions, we’re escaping in a way. Because if these things ACTUALLY happened, in many instances we’d be in serious trouble. Instead, fiction takes us on a journey where we watch someone else face hard questions. How does the protagonist cope? How does the villain either fail or triumph? What are the good aspects of this alternate reality? What are the parts I never would’ve imagined? What would I want to prevent at all costs? The best part about asking these questions in fiction, is that we’re able to face them from the relative safety of our own lives. You write Fantasy, Science Fiction and Horror. Where would you suggest a reader new to your work begins and why? 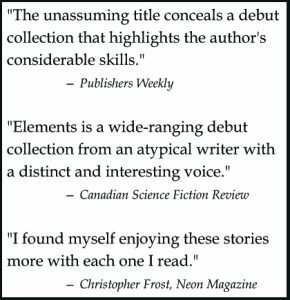 If they pick up my short fiction collection, “Elements: A Collection of Speculative Fiction” then they could get a taste of the many types of fiction that I write. The collection has 21 short stories, some science fiction, some fantasy, and some horror, including a few funny tales. But for those who prefer longer works, a reader could check out my novel, “Hellmaw: Soul Larcenist” which takes place in The Ed Greenwood Group’s shared universe where daemons live among us and humans are the food. “Soul Larcenist” is the first of a three-novel arch set in #Hellmaw, and it takes place in Toronto. 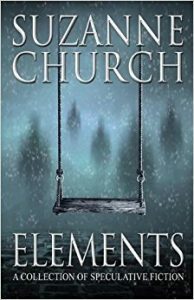 I recommend it to readers who like mysteries, with a little romance and some horror thrown in. What is your favorite (read) book and why? It’s tough to choose a favourite, but the one that I usually offer is “The Stand” by Stephen King. I read the book in my formative years and the plot has stayed with me for so long, probably because it pits good against evil, is post-apocalyptic, and because Stephen King is a true master of plot, pacing, and character. What is the book you dream of writing and haven’t yet? One of the short stories in my collection, “Destiny Lives in the Tattoo’s Needle” takes place in an interesting alternate history version of Earth and I barely scratched the surface of the nuances of that world in the story. I would like to write a novel (or two) that explores the people, the culture, the war, and the technology that I developed in that short story. She is also active on Facebook, Twitter and Instagram.